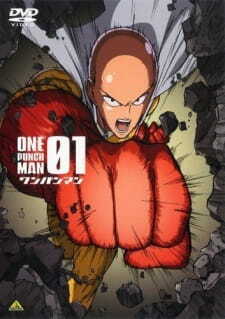 The One Punch Man Specials are anime-exclusive stories written by original creator ONE. They take place between the episodes of the TV anime. This is just a honest review from a regular anime watcher so if your looking a detailed one its not the right place. To begin with if you're looking for action, like in the main story, it's not the right place to search. I agree That these special series are worth watching and are funny, but its definitely lacks the entertainment which the main story was packed with. Would I recommend to watch it ? Definitely. Will you have fun while watching it ? It depends on your expectations, but I'll say that it's worth spending your time. So all in all 7/10. OPM specials don't fall short on comedy compared to the main series. I dare to say the specials have even better comedy and humour than OPM itself. In the specials we follow the people around Saitama. Genos, Sonic, Bang (later on the whole S class). As 6/6 episodes have aired, we have gotten some quality comedy with especially Genos. I loved episode 3's parody on Ginga Densetsu Weed (the huntsman and Akakabuto, the one-eyed king of the mountains). As the specials main focus is more on comedy we only get to see the people around Saitama in all kinds of conflicts less than fighting monsters. The animation quality is great and super as in the main series also. I love how the people around Saitama always over-analyze things, especially Genos and Sonic. They are the best comedians of the show and bring so much to the series. Especially in last episode the whole (well, almost) S class was given screen time. Oh boy was that a treat! As OPM had great, absolutely awesome music, the specials don't fall too short with it's catchy ending song. The OPM march song is super since it has the specials lyrics sung by, for example in ep 3, Sonic. We also get glimpses of other side characters who have yet to be on screen in the specials (Tornado & Mumen Rider[lol Mumen Rider only played part in the ending song but what evs]). I thoroughly enjoy these specials. These are a great follow-up to the main series. These specials might yet to be the best ones I've seen so far. The OPM specials are worth watching, don't let my low score fool you. I don't know if it's just a product of the sometimes awkwardly translated subs these are coming out with, but I found the humour overall in these to be a bit drab. OPM specials feel like an episodic slice-of-life comedy. Let me clarify by saying that's about as far from my genre of choice as it gets, but I also feel it's far from the appeal of what OPM's mainline series was too. While the art stays true to the original series, there's rarely a chance for Madhouse to really shiny when there's little to no action in the specials at all, and when there is it's nothing nearly as bombastic as the mainline series. It's above average at best, unmemorable at worst. It does give you some interesting insight into the lives of all the main characters, and that's the main reason I find it worth watching. If you're a fan of OPM because of its unique blend of comedy, action, interesting characters, and occasional tug at your heart strings, then the specials simply don't have every ingredient. It's cake without the icing, but at 12 minutes an episode it at least doesn't overstay its welcome. The One Punch Man Specials are exactly what one expects, but doesn't always get from a series' extras. Each is an amusing side story not interesting or relevant enough for the main series. That might sound like an indictment, but the dozen One Punch Man episodes were of very high quality and heavily storyline-driven. The specials aren't up to that level, but are they still exciting and funny? Damn straight they are! Each episode focuses on a different character with the exception of the final one, which follows a gathering of the Hero Association and Kid Emperor's attempts to solve a murder mystery. There aren't any big fights between two powerful combatants in these specials, but there is still plenty of fast-paced action. Impressively, the humor is as good as anything in the main series. As an additional bonus, the ending theme is usually sung by the character the episode is focused on. Thus, the first episode's ending is a song by Saitama, the second by Genos, and the third by Sonic. Sadly, the lone exception is episode four, which focuses on Bang, but is a repeat of the first episode's theme. I guess the elderly voice actor didn't feel like singing against the aspiring pop stars and idols that make up One Punch Man's younger voice cast! Some of the other elements of the main series are present here. The last episode's murder mystery is an excellent parody of Detective Conan. And there is even a poignancy to the story of Fubuki in episode 5, constantly overshadowed by her far more powerful older sister Tatsumaki. Fans of One Punch Man will absolutely enjoy this bonus, which is ultimately the point.